Two Sarasota County commissioners voiced surprise this week that very few, if any, traffic signals have been re-timed since the county began implementing an Advanced Traffic Management System (ATMS) in 2011. 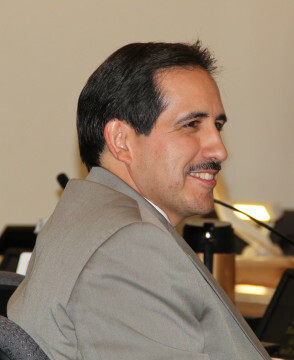 Commissioner Charles Hines seconded her motion, which passed unanimously. A Feb. 8, 2011 county news release The Sarasota News Leader located in county records explained that the ATMS project was “designed to create a network-managed traffic control system” that would reduce road congestion. The release noted that Phase 1 would affect 123 intersections, including those in the cities of Sarasota and Venice. That first contract was for almost $3.7 million, the news release added. On Nov. 17, Isaac Brownman, the county’s public works director, told the board during its regular meeting that, to his knowledge, the only signal timing procedures implemented thus far through ATMS involve accident management and traffic monitoring. Paula Wiggins, the county’s transportation planning manager, said funding for the signal re-timing effort is included in the county’s current fiscal year budget. However, she added, staff has to complete an agreement with the Florida Department of Transportation (FDOT) to undertake the work. “We should be seeing something within the year,” she told the board. 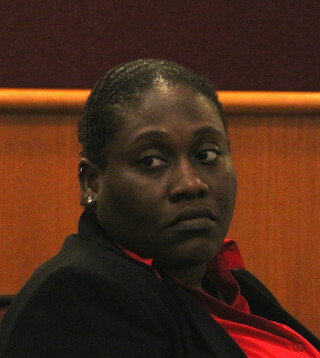 “I had a completely different understanding from Mr. Harriott on this,” Robinson responded, referring to the former county engineer James K. Harriott Jr. Phase 3 would include 10 signals on U.S. 41 Business within the city of Venice, he continued, with the construction award scheduled for January 2013. Construction of Phase 4, involving about 80 signals — 18 within the city of North Port and seven within the city of Sarasota — was scheduled for the summer of 2013, he wrote. Harriott left county employment in October 2014 to take a position in another community, county spokesman Jason Bartolone told The Sarasota News Leader. 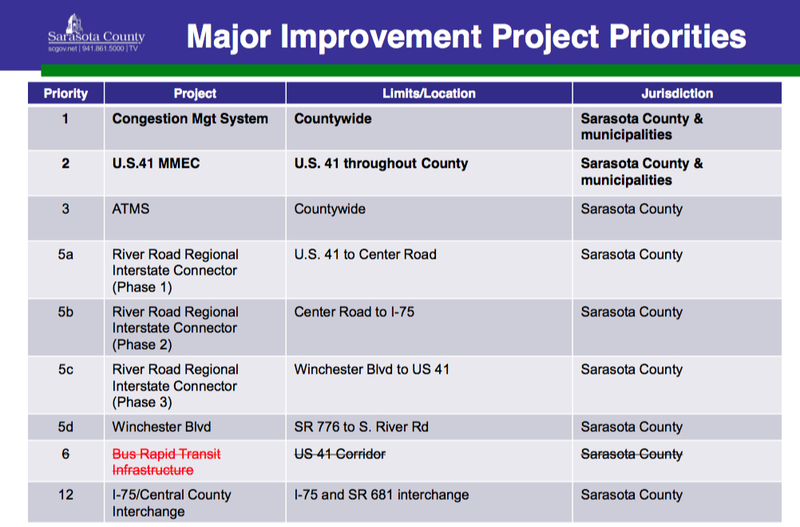 The issue arose when Wiggins appeared before the board to seek its approval of the 2016 Major Improvement Project Priorities for the Sarasota/Manatee Metropolitan Planning Organization (MPO). Those plans will be included in FDOT’s development of its work program for fiscal years 2016-17 through 2020-21. The ATMS was No. 3 on a slide showing the proposed list. To her knowledge, Wiggins responded, the infrastructure all was in place, but no re-timing of signals had occurred. FDOT crews will undertake that work, she added. 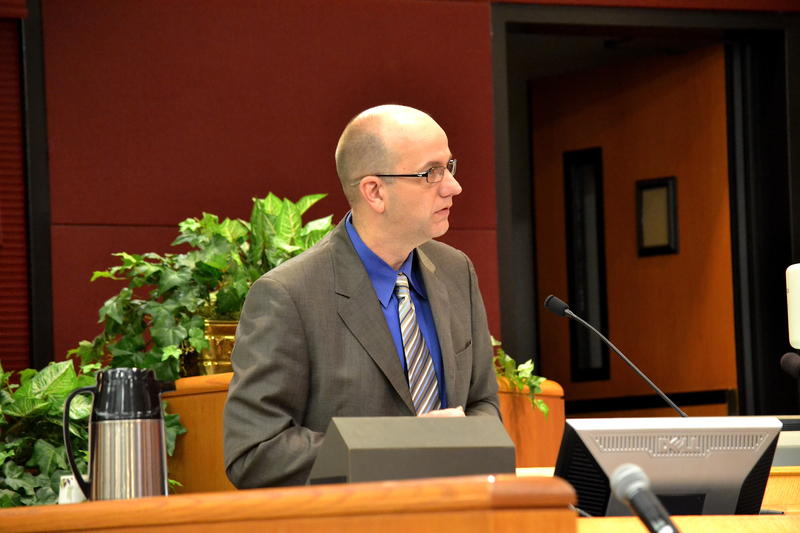 Wiggins added that the county recently received funding through the MPO program to pay for the signal re-timing in North Sarasota County and the city of Sarasota. “So we’ve had ATMS for five years without it being activated?” Robinson asked. “I’m frustrated right now,” Robinson said. Then Brownman came to the podium. 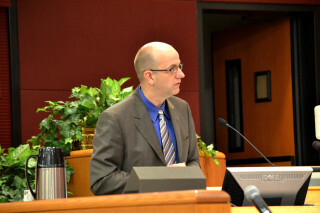 “We haven’t had that full-blown timing effort across the system as of yet,” he told the board. “When will that be?” Hines asked. When Hines then inquired about signal timing changes along University Parkway, Brownman explained those are part of a pilot project on which the county is working with FDOT. That “distinctly different system … is being installed now,” Brownman added. During a search of county documents, the News Leader located a summary of the May 7, 2015 meeting of the Sarasota County Seniors Advisory Council that notes the project is a result of a partnership among Sarasota and Manatee counties and FDOT. The document says the work will entail the installation of “a variety of signal system elements … with automated timing revisions to assist with the traffic flow/clearance time ….” The work was set to start in the summer of 2015. According to the Feb. 8, 2011 county news release, the regional Traffic Management Center is located off U.S. 301, north of State Road 70, in Manatee County. “Through an interlocal agreement, it will be staffed by employees of Sarasota and Manatee counties, the cities of Sarasota and Bradenton and the [FDOT],” the release added. Then the board voted 4-0 to approve Robinson’s motion calling for the full staff report on the ATMS system.